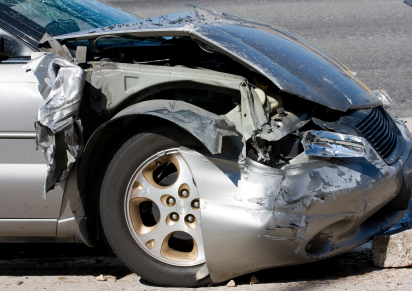 A car crash can instantaneously transform the lives of victims and their families. Many people injured in auto accidents are rendered with permanent disabilities like brain damage, paralysis and other injuries that steal the most precious things in the victim’s life: the ability to function, independence and the future. If you’ve lost a loved one or sustained a serious injury because of another driver’s carelessness, you have the right to hold that driver responsible for his or her actions. A successful lawsuit cannot return your life to the way it was immediately before the accident, but it can help compensate you for the tremendous losses you endured due to the crash. It can also help pay the high medical bills and other out-of-pocket costs caused by the accident, and provide financial support for those who have lost their income or earning capacity due to an injury or an unexpected death. Los Angeles auto accident attorney, Eduardo A. Brito, handles all types of auto accident cases, including accidents with commercial trucks/“big rigs,” pedestrian accidents, and accidents caused by poor roadway design or maintenance. The Law Office of Eduardo A. Brito also focuses on disputes arising from auto insurance claims, including: denials, failure to defend, failure to accept a settlement within policy limits, rescission, uninsured and underinsured motorist coverage, bad faith, and other auto insurance-related issues. Los Angeles auto insurance attorney, Eduardo A. Brito, also represents individuals whose insurance company-provided lawyers may not be adequately protecting their interests. For example, if you were involved in an auto accident and another driver sued you for damages, your insurance company has a duty to defend you and must hire an attorney, at its expense, to represent you. This attorney must treat your interests with as much concern as the interests of the insurance company. If you are offered a fair settlement that is within the limits of your insurance policy, your insurance company may have an obligation to pay the amount of the settlement to protect your against further liability. This includes "excess verdict" cases. Mr. Brito is skilled at representing clients with complex auto insurance coverage concerns and those who are victims of insurance bad faith. To discuss your auto accident or you auto insurance-related concerns, please contact the Law Office of Eduardo A. Brito today. We represent clients throughout Southern California in cases involving auto accidents and disputes involving auto insurance claims. Contact the Law Office of Eduardo A. Brito for a free initial consultation regarding your automobile insurance situation. You can reach us by telephone at (626) 463-7076 or by e-mail. An evening appointment is available upon request, as is a home or hospital visit if your illness, injury or disability prohibits you from traveling to our Pasadena office.